Why are Muslim athletes boycotting Israeli competition? 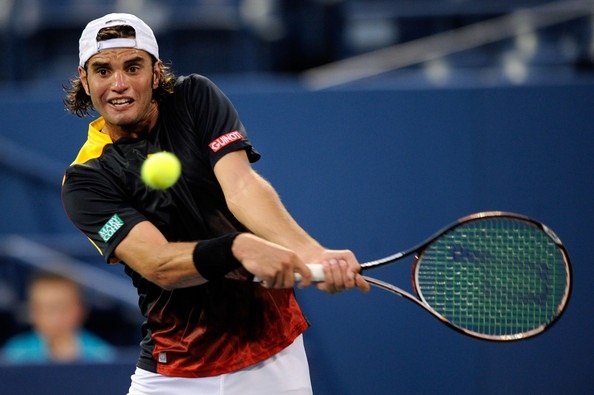 Tunisia’s Malek Jaziri is ranked No. 65 in the world. As the Open Sud de France rolls on this week, Tunisian tennis star Malek Jaziri is at the center of an investigation by the Association of Tennis Professionals (ATP) for his sudden withdrawal from the tournament. There is suspicion that Jaziri may be embellishing an injury, when his true motivation for pulling out is a refusal to play against Israeli opponents. Tunisia is a North African country whose official religion is Islam and whose population is reportedly over 95 percent Muslim. As with many Muslim-majority countries in North Africa and the Middle East, there is political and social tension between Tunisia and Israel stemming from the violent Muslim-Jewish conflicts in Palestinian territories. Jaziri, the 65th-ranked men’s player in the world, had won the first set of his first-round singles match in France against Uzbekistan’s Denis Istomin. He then quit the match and withdrew from the tournament, citing an elbow injury he’d suffered at the Australian Open. The winner of that match was scheduled to face Israel’s Dudi Sela in the second round. Jaziri also withdrew from the men’s doubles bracket, where he and Spanish partner Marc Lopez were slated to play a team of Israel’s Jonathan Erlich and Czech Republic’s Cermak Frantisek in the quarterfinals. This is apparently nothing new. According to the Associated Press, certain “Arab” countries have for decades been known to boycott athletic competition involving Israel as a form of protest over what is happening in Palestine. On one hand, I am fully in favor of sports being used as a platform to make political protests. And knowing some of the atrocities committed by Israel in that region — such as this past summer’s deadly wave of bombings in Gaza that killed scores of innocent children and citizens — I understand why Muslim athletes would want to take a stand. It would be unfortunate if innocent, uninvolved Israeli athletes are missing opportunities to compete while indirectly shouldering the burden of their country’s government. But that would be a necessary byproduct of a bigger ideal. Charge it to the game, as they say. When the women’s national basketball team of Qatar walked off the court in a September 2014 protest of FIBA’s rule prohibiting hijab headscarves, the team they were supposed to play had to suffer a consequence of having their scheduled game wiped out. Last spring, when there was talk of the NBA’s Los Angeles Clippers refusing to play in protest of racist team owner Donald Sterling, their opponents would’ve also been caught in the political crossfire. In that sense, you could then compare a Muslim boycott of Israeli competition to Black football players refusing to play in the 1965 American Football League All-Star Game due to racist treatment they had been receiving in the game’s host city. For athletes, sometimes the most powerful statement they can make is to not play the game. On the other hand, I can’t help but be reminded of a time in America when White athletes and White-run organizations refused to compete with and against Black athletes — not out of any legit political protest, but out of pure and simple racism. That kind of racism robbed generations of Black athletes of opportunities; it kept Blacks out of Major League Baseball until Jackie Robinson broke the barrier in 1947, and kept Blacks out of certain golf and country clubs until the 1990s. Although Islam forbids racism and encourages Muslims to exercise love and understanding toward people of all religions, there is an undeniable culture of anti-Semitism in some Islamic communities and countries. It is not in line with true Islamic values, but it exists in this world nonetheless. As the saying goes: Islam is perfect, Muslims are not. So while I can get behind the idea of a Muslim athlete or organization not competing against Israeli opponents as a form of well-intentioned protest aimed to right the horrible wrongs in Palestine, I cannot get behind the idea of a Muslim athlete or organization avoiding competition with Israelis simply because they don’t like Israelis. What is in Malek Jaziri’s head and what is behind his past and present tournament withdrawals, I do not know. I hope and pray that his actions are driven by the best and most noble intentions. I couldn’t agree with your article even more! Also as an African-American and Muslim Man, I totally sympathize with the Palestinian cause and abhor the horrible crimes that Israel has committed against not only Palestinians, but non-Ashkenazi Israeli citizens such as the Arab citizens, Ethiopians, and Mizrahi Jews . Therefore, I understand some of the Muslim athletes refusing to compete against athletes representing Israel. However, being a student of my own history as an African-American, especially in the area of sports, great pioneering athletes such as Jack Johnson, Joe Louis, Jackie Robinson and pioneering teams like the New York Renaissance (aka Harlem Rens), believed since White America has proven to be the wicked enemy against African-Americans and other People of Color, they felt that they should use their athleticism, skills and IQ of the their respective sports do the talking to win respect and help improve the racist conditions that were harshly being faced at the time. Eventually, their strategy worked! What I’m saying is since we, the Muslim majority have a deep since of sympathy for Palestinians and pray, or should pray that freedom, justice and equality will be established for them, we should encourage Muslim athletes to welcome the opportunity to compete against Israel as a substitute for armed struggle. Maybe, Insha’Allah, we will be successful and the Palestinians will be free!